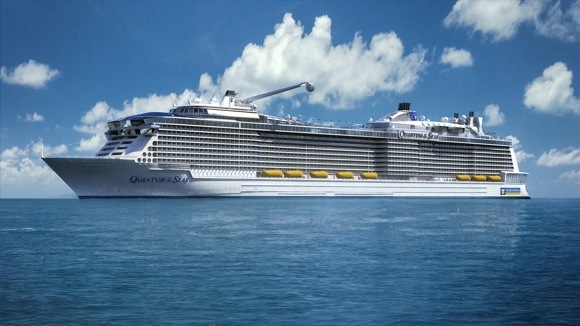 In a telecast from the shipyard in Germany yesterday, Royal Caribbean unveiled the new digital technology for its newest ship Quantum of the Seas that include a number of cruise industry firsts. 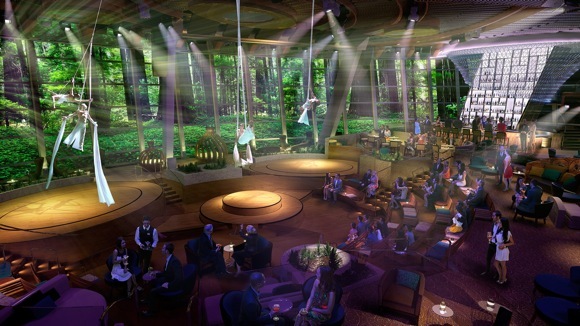 The new features will include RFID luggage tracking, the fastest internet at sea and robots working behind the bar. The new luggage tracking technology will mean the boarding process is sped up and guests. 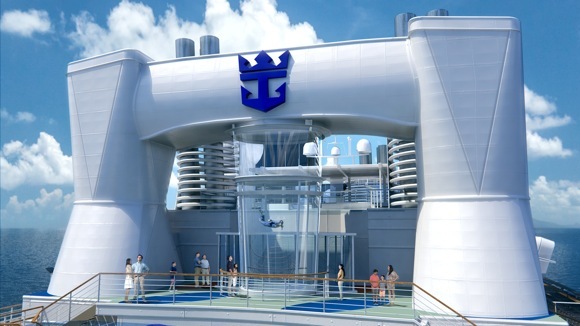 Royal Caribbean is promising to reduce the amount of time it takes to board your cruise ship by giving guests the opportunity to generate boarding documents online, upload their own security photo and receive digital boarding confirmations. Guests will also be able to track luggage on their smartphones as it is tagged with RFID technology. 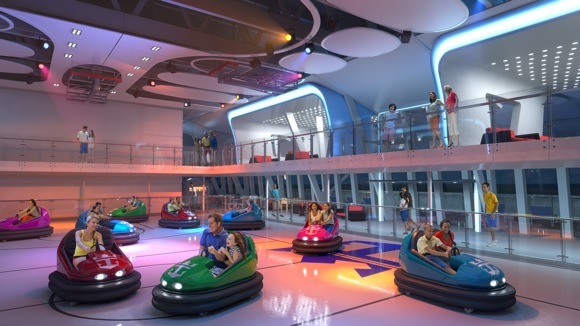 Guests will be provided with a signature WOWband which will allow them to make onboard purchases and will serve as a room key. 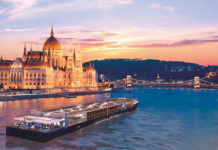 There will also be two apps available to make the experience smoother for all: the Cruise Planner, to allow guests to research and book dining reservations, shore excursions and spa treatments while Royal iQ will let gusts view bookings and keep in touch with one another and those at home. 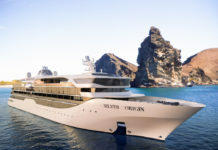 The ship will feature industry-leading bandwidth so broadband connections will be the fastest at sea. The on board Bionic Bar will feature robot bartenders who make your drinks ordered through tablets. 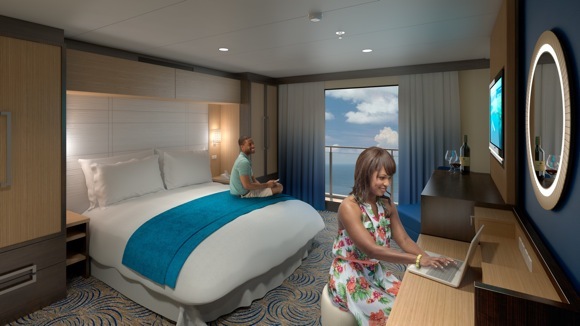 Staff on board the ship will have custom apps on their tablets, provided by Royal Caribbean, which will allow crew members to keep track of guests’ tastes and preferences to ensure they have an enhanced personalised service. There will be less energy consumption due to sophisticated remodelling which includes altered engine design and energy saving devices. 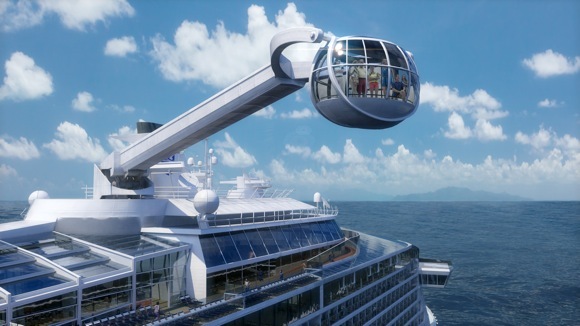 The ship will use only low-energy LED or fluoroscent lighting and motion sensors will help to save energy. Whether you’re looking for a cultural holiday or relaxing break, find your perfect cruise here.